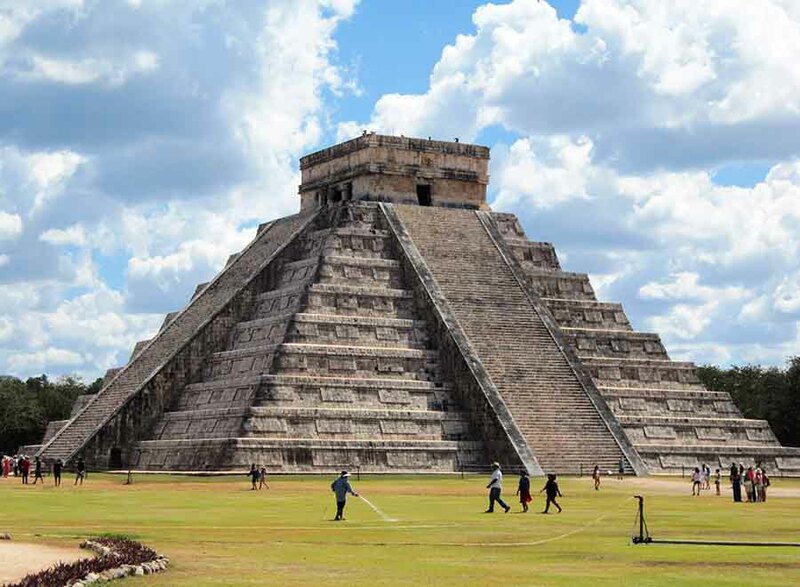 We offer both private van and private airplane tours to Chichén Itzá. The private van tour is available for both 8 passenger or 13 passenger vans and visits Chichén Itzá, Ek Balam, and cenote Ik Kil. 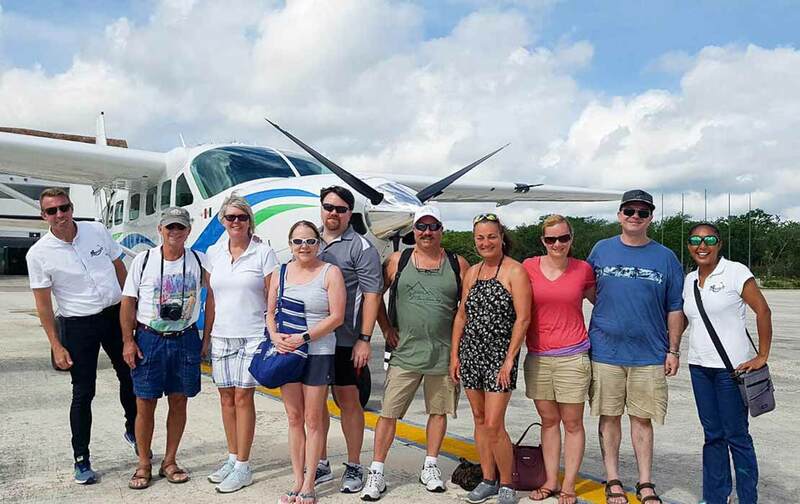 The private airplane tour is available for groups up to 12 and visits Chichén Itzá and cenote Ik Kil. Click the "details" tab below for additional information and pricing. 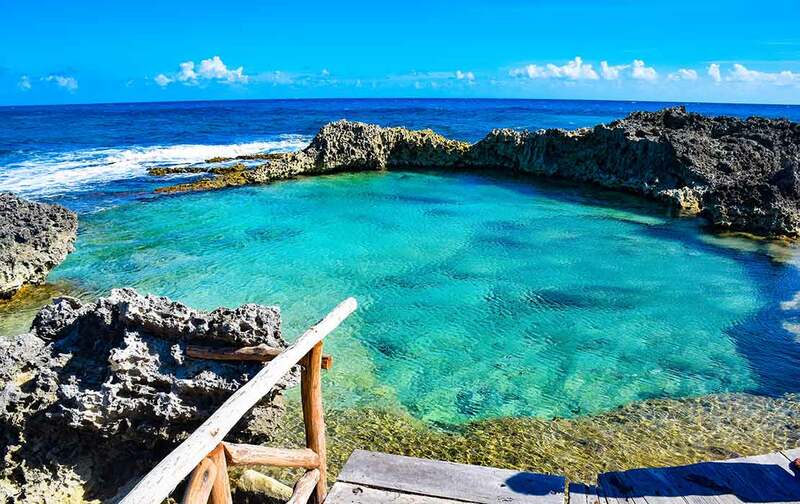 Round trip transportation from Cancun, Playa del Carmen, and Rivera Maya to Chichén Itzá archaeological site, visit and refreshing swim in cenote Ik Kil, and a lunch buffet at Ik Kil restaurant. 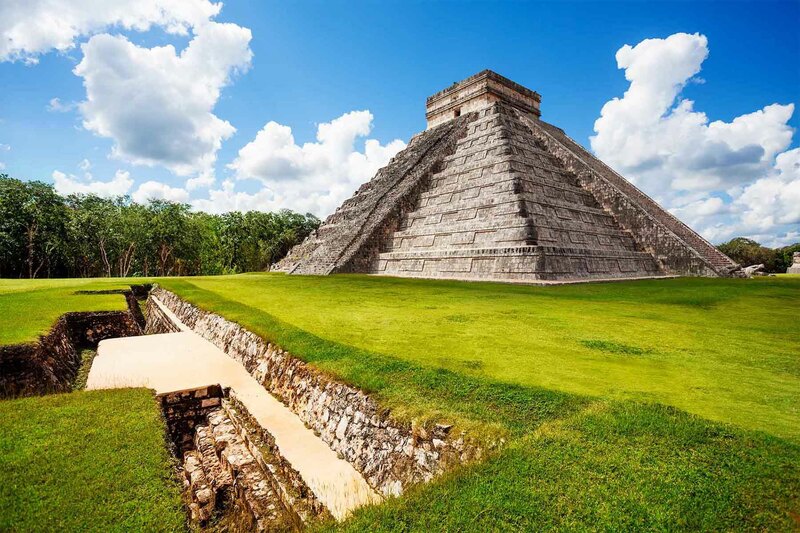 Explore the famous Chichén Itzá archaeological site, visit Zaci cenote at Valladolid (non swimming) and experience an authentic Yucatecan buffet lunch at La Casona del Valladoid (a prestigious 18th century restaurant). 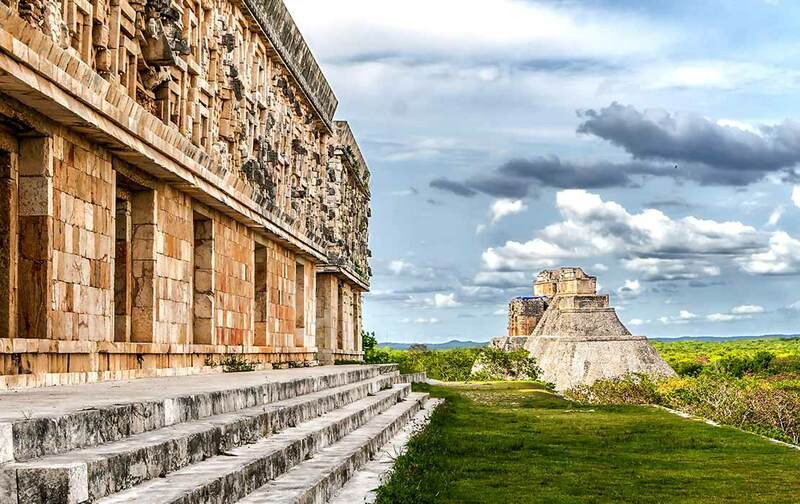 *Includes bilingual guided tour in Chichén Itzá and a light gourmet breakfast on board the panoramic bus. Choose the best option for you group below. 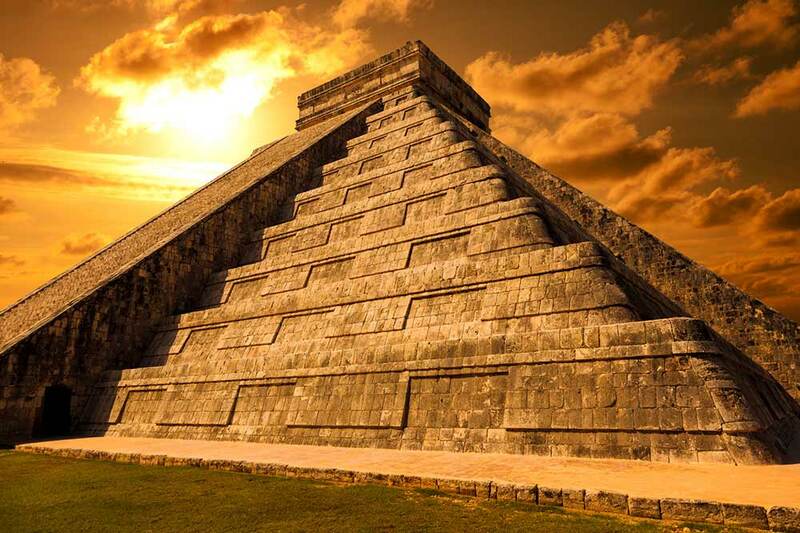 Keep in mind that the all-inclusive Chichen Itza tours do not operate on Sunday. If you do not see them listed below change the desired date to a day other than Sunday. 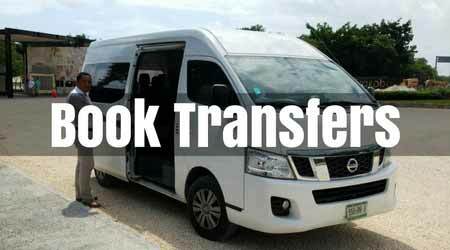 Private transportation tour pricing does not include admission fees which are estimated to be around $20USD per adult. Children 13 and under are free at Chichen Itza. All tours include a private vehicles that either accommodate a maximum of 9 or 14 passengers depending on the van size. Drivers will not allow additional passengers. If traveling with children requiring a child safety seat please include this in the comments at checkout and we will do out best to accommodate this need at no cost. The tour is for a maximum of 12 hours and the latest departure time is 8:00 AM to allow for a decent return time. If a later departure time is desired we cannot guarantee a full 12 hours of tour time. Tours cancelled more than 48 hours in advance receive full refund. Lockers and lifejackets at the Ik Kil cenote are not included. Bring extra cash or credit card for beverages at the restaurant, souvenirs and personal expenses. 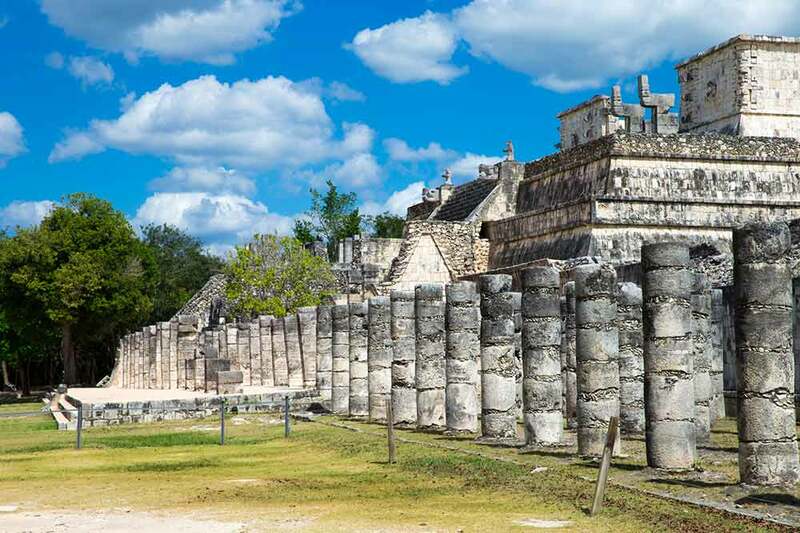 Your Chichen Itza tour first enters a large parking lot and lets you off near the entrance. The front entrance has stores and restaurants where you can buy books, maps, videos and arts and crafts. This is where the public washrooms are as well. 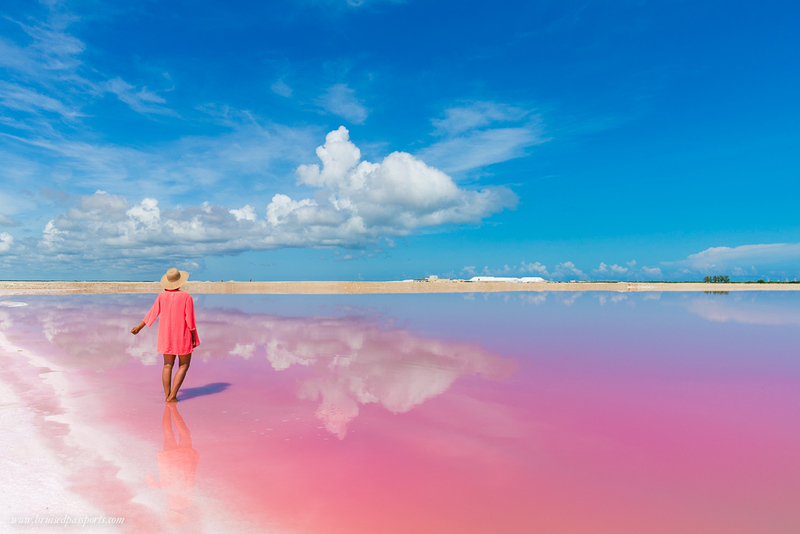 If you reserve the private transportation tour option you can purchase entrance tickets and if you prefer to have a private guide at the entrance to hire a professional. Take a hat or an umbrella with you especially in the summer [June - August], it gets hot. Better to ware hiking shoes over sandals if you want to climb up things. This is because your feet get all sweaty and it becomes easy to slip unless you have really tight well fitting sandals. Bring a nap-sack to carry your stuff on your back. Keep an eye on your children at all times and warn them not to walk off into the jungle. Bugs are not a problem but are more prevalent in the dry seasons. Take bug spray as a precaution. 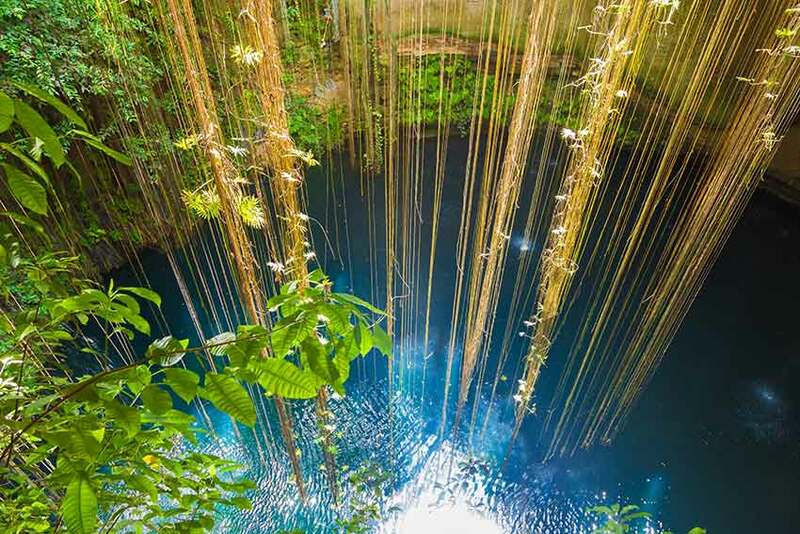 Pay close attention to your guide and you will learn a lot about the Maya and Chichen Itza. Climbing Up the Great Kukulcan Pyramid - In 2006 a visitor fell from the great Kukulcan pyramid and unfortunately lost her life. Because of this incident INAH (Instituto Nacional de Antropologia e Historia) has closed access to climbing the pyramid. If you stand directly in front of the Kukulcan pyramid and clap your hands the echo is alleged to be that of the sacred Mayan bird known as the Quetzal. In the Ballcourt, if you put one person at one end then stand at the opposing wall at the other end you "may" be able to hear the person whispering. This is stated as fact in numerous web sites however do the experiment and see for your self. During the summer and winter equinox a shadow appears on the side of the steps of the Kukulcan Pyramid that resemble a snake. This tour was great! Everything from the food provided to the tour guides. 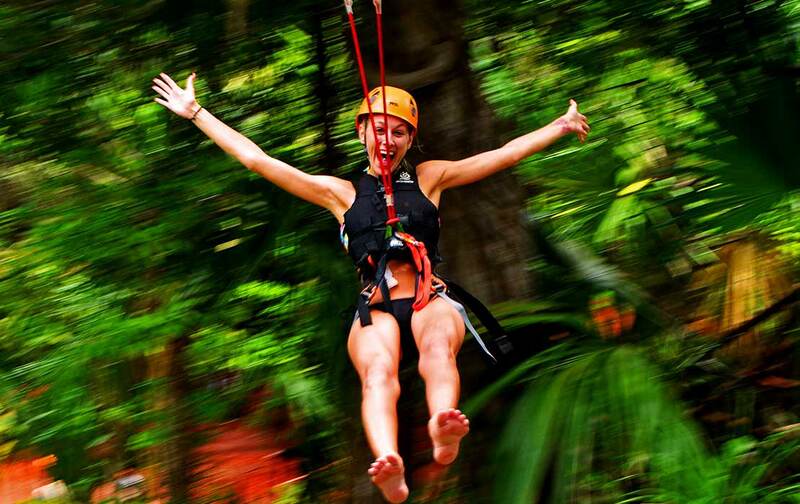 We loved seeing Chichen Itza, eating in Valladolid and jumping into the Zaci cenote. And on top of a great day, our tour guides and bus driver dropped off off even closer to our hotel then they were originally supposed to. They were amazing!I also worked with Fany to re-book my tour due to an unforeseen circumstance. The process were effortless and convenient. Thank you for a great day!